As lethal bath salts continue to take young lives, researchers have discovered the shocking strength of a key ingredient that leaves users struggling with the after effects for days. MDPV, commonly found in the street drug is ten times stronger than cocaine, according to the National Science Foundation. It causes users to become paranoid, violent and agitated, at times leading to hallucinations. But unlike with other drugs, such as cocaine or ecstasy, doctors are noticing a worrying trend of people suffering these symptoms for days after snorting the legal high. ‘They’re selling time bombs,’ Louisiana Poison Control Center Director Dr. Mark Ryan told ABC News. ‘We’ve had some people show up who are complaining of chest pains so severe that they think they’re having a heart attack. They think they’re dying. One such victim of the cocaine-like bath salts (which have nothing to do with bathing, despite their casual name) was 21-year-old Dickie Sanders. He suffered severe hallucinations after snorting a packet of bath salts, labelled ‘Cloud Nine’, became convince he was being hunted by police and sliced at his throat with a kitchen knife. The side effects persisted, Saunders’ father ended up having to sleep beside him, holding his son in his arms and trying to comfort him. He eventually calmed and drifted off to sleep. 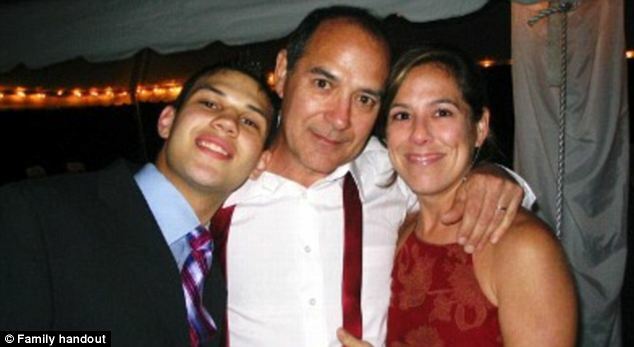 But hours later, suddenly and without warning, Saunders left the protective arms of his father and in the midst of another psychotic episode shot himself with a rifle. As Saunders’ tragic became mirrored in more and more incidents across the country, Ryan compiled a database of every bath salts-related case in Louisiana, hit especially hard by the problem, and Kentucky. One patient high on the substance repeatedly fired guns out of the house at strangers, while another broke all the windows in a house then walked barefoot through the broken glass. A third left her 2-year-old daughter in the middle of a highway because she ‘had demons’. Ryan noticed that upon snorting the powder, labelled with names including Hurricane Charlie, NOLA Diamond and Bayou Ivory Flower, users all suffered repetitive psychotic episodes. Scientists ran tests to try to determine the drug’s chemistry, finding it to be laced with MDPV, ten times the potency of cocaine. The dangerous combination of the drug’s ingredients ‘flood the brain,’ they said, leading to repeated episodes of psychotic behaviour. In December the Louisiana Poison Centre received more than 110 calls about bath salts, compared with four in October and 24 in November. That trend was being mirrored all around the states. 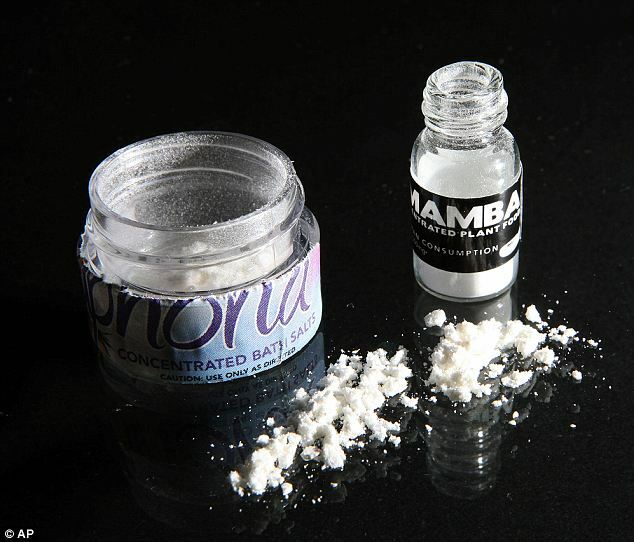 Drastic measures were taken early January to ban the five ingredients commonly found in bath salts products: MDPV and mephedrone, methylone, methedrone and flephedrone. What’s worrying is that drug makers have simply tweaked the formula, skirting around the law. Doses vary wildly, making it difficult for doctors to react as it causes huge differences in how the human body responds. And while baffled researchers continue on their bid to learn more about the drug, the long term effects on the brain remain unknown. They hope that a greater understanding of how bath salts function could lead to better tests, treatment and even antidotes.